The new Monkey Island series from Telltale started out with a bang. Brad Nicholson and I both enjoyed it considerably. On Thursday, the next episode, The Siege of Spinner Cay, will be released. 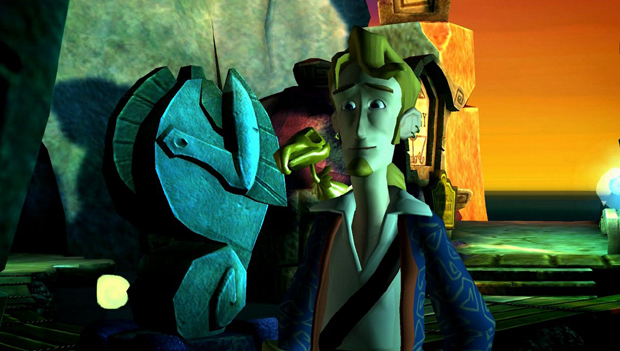 Can't wait for a little fix of Guybrush Threepwood? Well, to hold you over until later in the week (and promote its release, I suppose), Telltale has sent us a brief trailer for the game. It's not magnificent, but chuckle-worthy at the very least. The video consists entirely of a conversation between Guybrush and Elaine from some point in the game that I won't divulge because there were doubts amongst people as to whether or not they meet again in this episode at all. No reason to spoil the surprise, right? The trailer lies just beyond yonder link. And be sure to check back in with us on Thursday for Destructoid's review of The Siege of Spinner Cay.